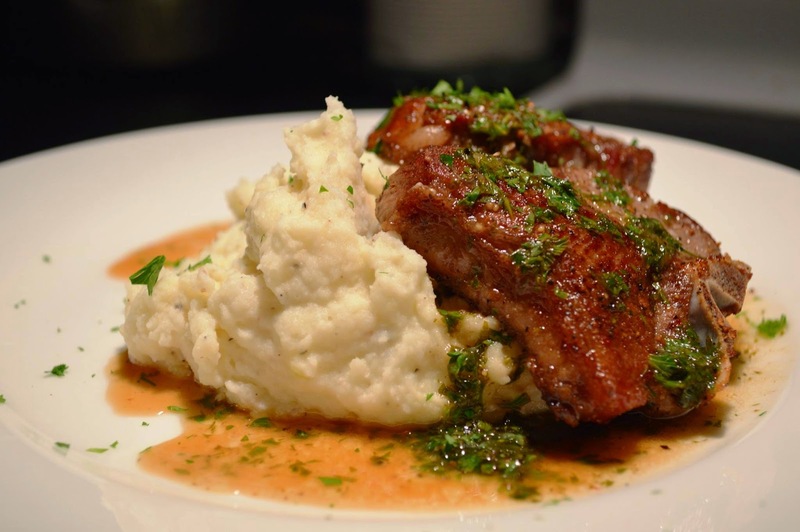 Spoiled hubby my making a weeknight gourmet dinner of lemon parsley lamb chops over ricotta garlic mashed potatoes. Both plates were cleaned and it was a fraction of the cost had we gone out to a restaurant. Sometimes it pays to learn a few good techniques so you can reproduce your favorite flavors at home. Just the best parts... Meat and potatoes! Looks wonderful!